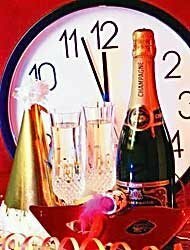 Celebrate New Year’s Eve 2005 in style ! Tourist motor-ship HUMBERTO M is a comfortable ship specially prepared to offer tourist services of navigation lunch and supper respectively or private meetings on board. Our ship has a cosy hall with capacity for 120 people comfortably seated, equipped with air-conditioning, heating, audio equipment and professional sound. Because of its design and type of building does not have columns inside, which gives a wide panoramic view and in addition it can be used according to each event needs. According to our experience we are convinced that HUMBERTO M is the ideal way for a foreign tourist to appreciate our dear Buenos Aires, as nobody can show it sailing "the widest river in the world". Two hours of fascinating navigation down the Coastal Channel of the River Plate, until the proximities of the Athletic Club River Plate. In this voyage the interior of the Port of Buenos Aires with all its vast activity will be able to be observed, the Yacht Argentine Club founded in 1883, the antique Hotel of the Immigrants, the riverside silhouette, the classic Fishermen Club with its typical construction, the Airfield for light aircrafts Jorge Newbery, the University City, the different ways to practise of water-sports, boats of different sizes and in the background the wonderful view of Buenos Aires City flirting itself with an imposing sunset. By the end of the XIXth. century, when in Buenos Aires the tango started to spread and melt with the soul of the folk, mixing slowly with the essence of the native and immigrant people, and when the village pretended to transform -disorderly- into a city, one of its most picturesque quarters was "El Abasto", where labor was in the air during the day, and tango pervaded the night. While slowly growing around the supplying market after which the quarter took its name (in Spanish, abastecer means to supply), "El Abasto" neighborhood witnessed the rise of an indisputable popular idol: Carlos Gardel. The "Morocho del Abasto" (the "Abasto" brown-haired), as he was called, grew and shaped in that unique, and unusual environment. According to the memories, it is said that when "Carlitos" managed to sneak away from his custodians at the (Saint) Pious the Xth School, called by a mysterious "magnet", he used to wander by the narrow and noisy streets of the neighborhood, among workers, rascals and scoundrels that tried to get their daily "opportunities", and among dealers that were piling up poultry cages and vegetables crates. This special environment nourished Gardel's outstanding personality, the one that rapidly leaded him both to success and to achieve the dimension of an indisputable tango icon. 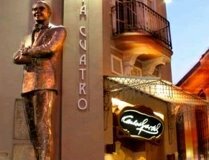 At a cul-de-sac corner -now renamed "Carlos Gardel" as a way of paying tribute to him-, where today is the statue that immortalize him, there was, by then, a restaurant in which the picturesque people of the market used to gather: the "Chanta Cuatro". That restaurant was the mute witness of a unique story. There, "Carlitos" Gardel used to gather with his friends and mates for dinning, staying up late, singing, or...simply waiting for the following day sunrise. By that time, he started to develop his outstanding profile as a folkish singer, mixing different popular songs of the time (waltzes, popular airs, tunes and melodies). "Chanta Cuatro" opened its doors in 1893, as a two-floor restaurant and hotel. 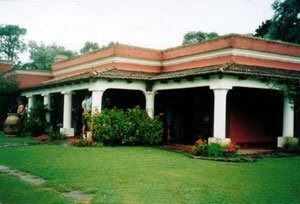 Among its premises, there was a "bochas" alley, a traditional game at that time, that originated the peculiar name of the place. Today, more than 100 years later, this same story, magically, comes back. "Esquina Carlos Gardel", located at the very same place where "Chanta Cuatro" once was, joins these two authentic stories and offers an inimitable -and insurmountable- alternative regarding Tango-restaurants. A superb cuisine, an exquisitely decorated -Art Nouveau style- ambience, that exactly re-creates the sophistication of the most luxurious old-time dining rooms, last-generation technology equipment, top level artistic proposal, and a mystical atmosphere that will lead you to experiment an unforgettable night. It first opened its doors in 1893, as a restaurant and hotel, and soon became a true Buenos Aires "classic". Today, it reopens its doors, keeping the Art Nouveau style of the most luxurious old-time dining rooms. The authentic roots and the pure essence of the Argentine tango in a full show of music, singing and dancing of top artistic quality. Offers a menu with a great variety of international dishes and select wines. 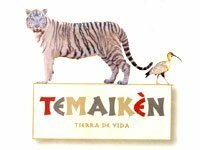 The Temaikén Park is aimed at surprising the visitor as he/she tours the premises, whilst observing the animals, from different view points, in a natural habitat. The Interactive Centers at Temaikén Park combine scenography, audio visual effects and information aimed at awakening the visitors’ interest and curiosity. The varied centers offer an integral vision of the ecosystem’s behavior and in particular encourage the importance of nature care awareness. It extends over 34 hectares, and has more than 1000 trees and bushes between 8 and 20 years old, a ll which were transplanted. 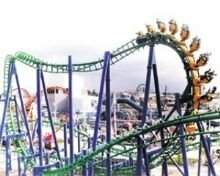 The planning, construction and start-up process of the park resulted from a multidisciplinary team of biologists, teachers, veterinaries, construction workers, architects, engineers, artists, specialized consultants: a team of over 300 people and 4 years work. 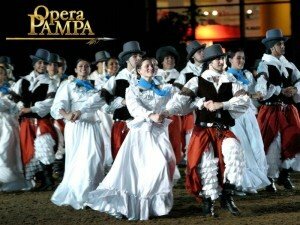 OPERA PAMPA is a dynamic and uninterrupted succession of fascinating scenes portraying different historical times and memorable events in the history of the Americas and mainly in the history of Argentina. The show integrates different artistic expressions: folklore dances, musicians, singers, equestrian displays, fixed and moving stages, live and pre-recorded music and songs, and light and sound effects, among others. Welcome with empanadas and wines + Show $ 140 Up to 3 years old Free 20:00 hs. Welcome with empanadas and wines + Show + Dinner $ 220 Up to 3 years old Free 20:00 hs. Welcome with empanadas and wines + Show + Dinner VIP $ 340 Up to 3 years old Free 20:00 hs.